The study found that 144 kids have sustained eye injuries, 30 went into comas, 12 had seizures, and one child died. 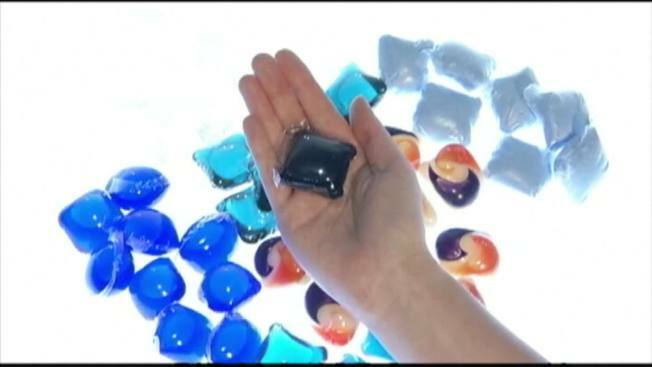 Accidental poisonings from squishy laundry detergent packets sometimes mistaken for toys or candy landed more than 700 U.S. children in the hospital in just two years, researchers report. Coma and seizures were among the most serious complications. The cases stem from the more than 17,000 poison center calls about the products received in the past two years. The calls involved children younger than 6 and most weren't seriously harmed. But one child died last year and the potential risks highlight a need for even safer packaging, the researchers said. Some manufacturers already have revised packaging and labels in efforts to make the detergent packets or "pods" safer for children. The study found calls dipped slightly after some of those changes were made. The products contain concentrated liquid laundry soap and became widely available in the U.S. two years ago. Some are multicolored and may look enticing to young children. Poisoning or injuries including mouth, throat and eye burns can occur when kids burst the capsules or put them in their mouths. In the study, 144 had eye injuries, 30 went into comas and 12 had seizures. Exposure to household cleaning products is among the top reasons for calls to poison centers involving young children. In 2012, detergent packet calls accounted for a fraction — about 6 percent — of the 111,000 calls involving young children and cleaning products, according to the American Association of Poison Control Centers. Many calls involve regular laundry detergent, which can cause mild stomach upsets, but poison center experts say the new concentrated laundry packets seem to cause more severe problems. Jessica Morin of Houston says her 9-month-old daughter, Marlow, was sickened earlier this year when Jessica's grandmother mistook a detergent pod for a teething toy and put it in the baby's mouth. "I called poison control and they said to take her to the ER immediately," Morin said. Marlow was repeatedly vomiting and underwent tests, but doctors at Texas Children's Hospital found no serious damage and she didn't need to stay overnight. "We were very lucky," Morin said. "We don't have those pods in our house anymore." The researchers examined 2012-13 data from the poison control centers group. Their study was published online Monday in Pediatrics. Overall, there were 17,230 poison center calls about young kids getting into the packets, including 769 children who were hospitalized. Dr. Gary Smith, the study's lead author, said his hospital had two recent cases — kids who developed breathing problems and required treatment in the intensive care unit. He's director of the Center for Injury Research and Policy at Nationwide Children's Hospital in Columbus, Ohio. The American Cleaning Institute, which represents makers of cleaning products, issued voluntary guidance in March encouraging manufacturers to use labels that prominently list safe handling information. The cleaning institute said it is also working with manufacturers to educate parents. But a survey the group released last week suggests many consumers still don't know about the risks. The Consumer Product Safety Commission says children should not be allowed to handle the packets and advises parents to store them out of children's sight and reach.